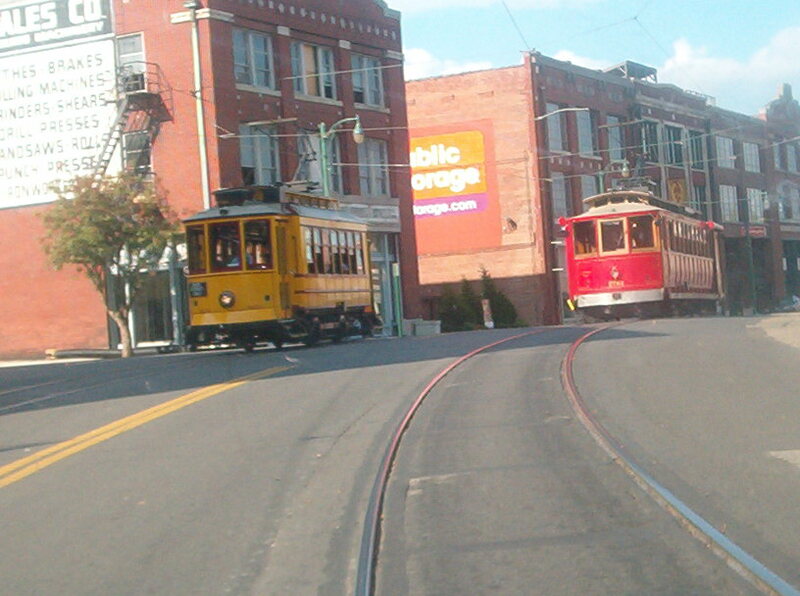 Continuing through Memphis behind the trolley, as another trolley bips into view on the left. We skedaddled past here so fast I couldn't even catch the whole thing, but here's a taste of it: There's this sidewalk in downtown Memphis where there's a whole row of gigantic balls like these. See, the one on the right is what's called a baseball and is used in a popular American sport. You also see a fishing float, and there's also other balls in this display. 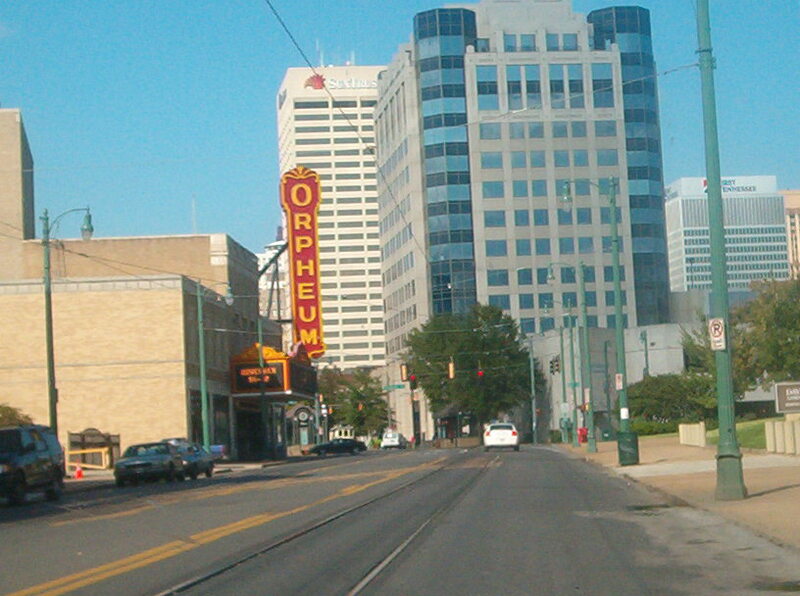 I think this is north on 3rd at Beale in Memphis. I've determined this has to be Handy Circle, facing the parking garage of Peabody Place - a mall in downtown Memphis with a really right-wing dress code. The picture on the building is goofy, for it looks like a young woman shoving her face into a salad bowl. This is the world-famous Beale Street from Handy Circle. 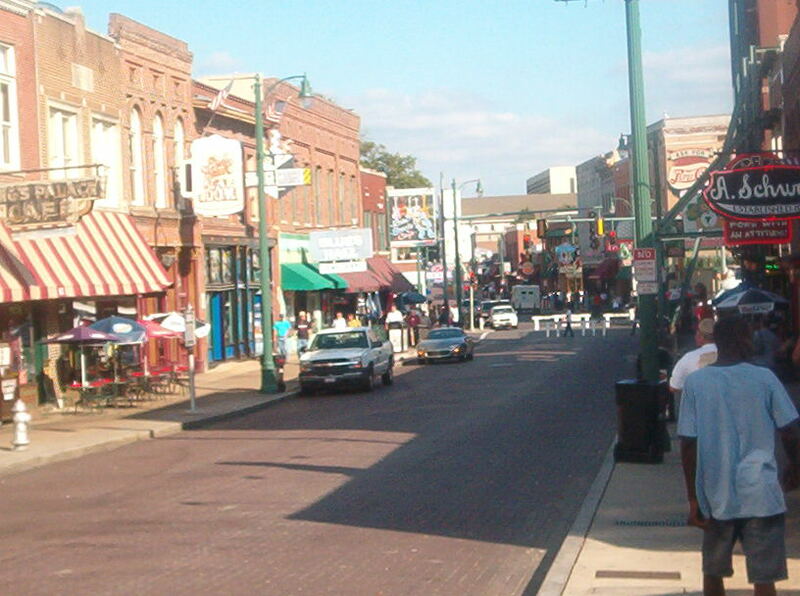 Another good view of Beale Street, looking towards Handy Circle. 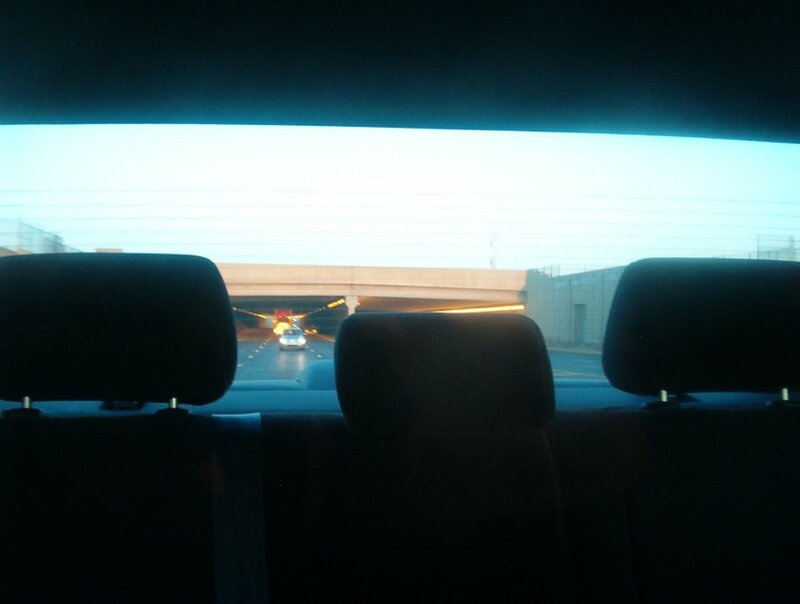 Winchester Road has this tunnel going under a runway at Memphis International Airport. This is pretty close to where a drive-thru cashier at a Wendy's spilled an entire Coke onto the interior of the car. 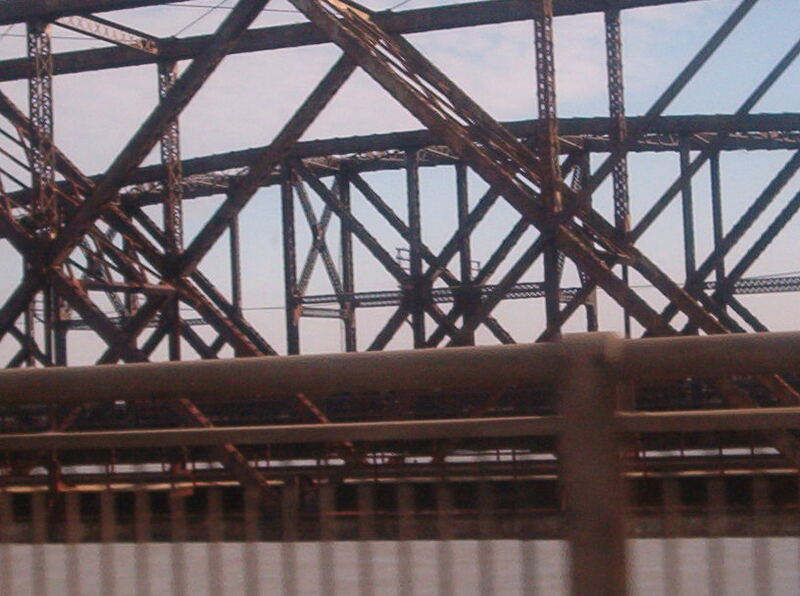 As you can see, this is getting onto the I-55 bridge in Memphis. From the I-55 bridge that spans the Mississippi River, this is looking towards 2 rail bridges that parallel the freeway span. 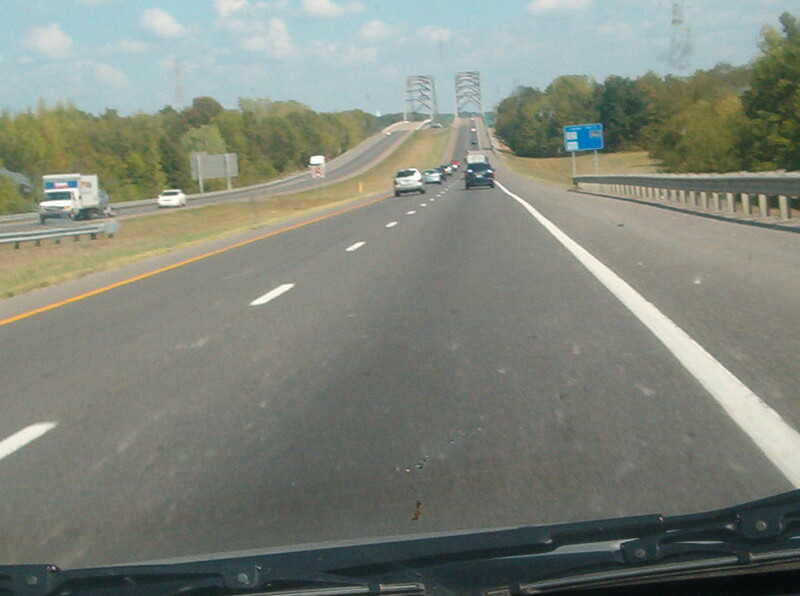 Entering Arkansas on the I-55 bridge. From I-55 just after entering Arkansas, this is a tiny dead-end road that runs southwest off one of the parallel rail lines a half-mile northwest of the riverbank. The road touches no other roads, and it curves as if it's about to form a ramp to I-55. It turns out that the bridge for that rail line did carry road traffic until 1949, and this now-abandoned road is left over from then. I'll resume my guessing game: Just after the first exit in Arkansas, there's something that appears to be a weigh station, where an elevated stretch of I-55 begins. I think this is immediately past the weigh station, and that the path in the right-hand half of the photo runs north-northwest towards that elevated railroad. 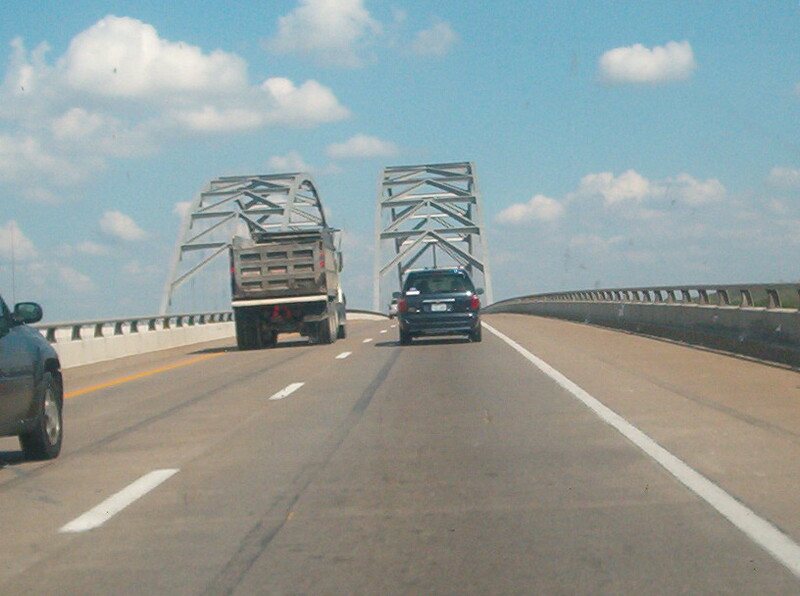 Heading onto the I-155 bridge that traverses the Mississippi River between Missouri and Tennessee. I-155 also carries US 412, a road that gives many Roads Scholars a bad case of gas because it wasn't numbered based on the highway numbering grid. 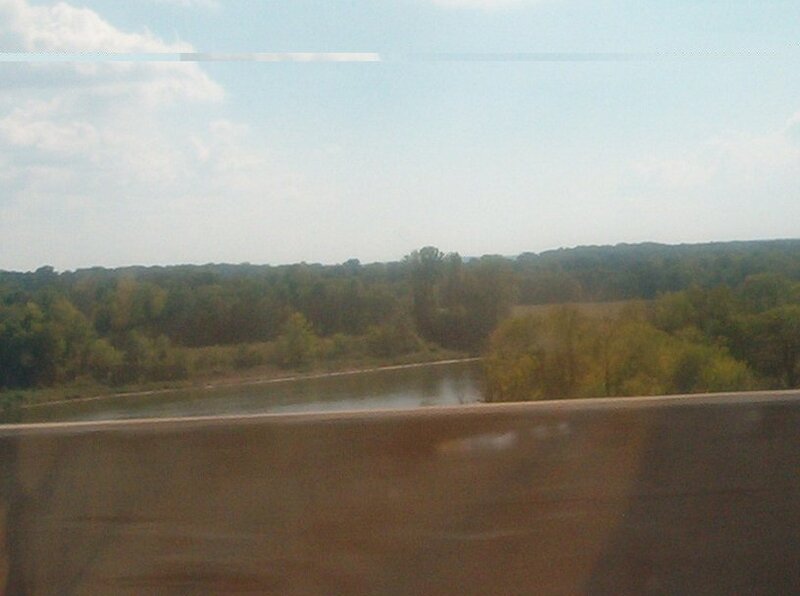 The Mississippi River as seen from the I-155 span. Unlike Cincinnati, I bet they had a drought here, which must be why it looks like much of the riverbed is exposed. Going over the peak of the I-155 bridge. Entering Tennessee from the I-155 bridge. 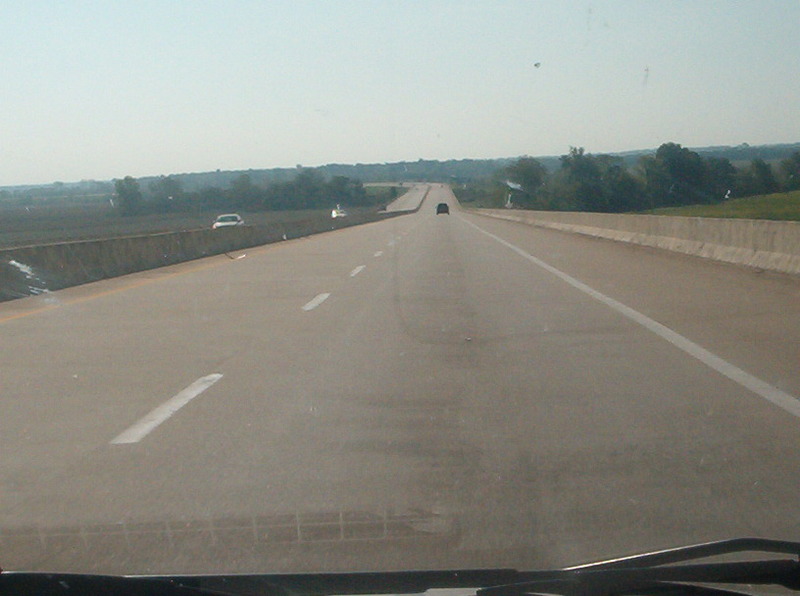 East on I-24 in Kentucky approaching the Luther Draffen Bridge, which goes over the Tennessee River. 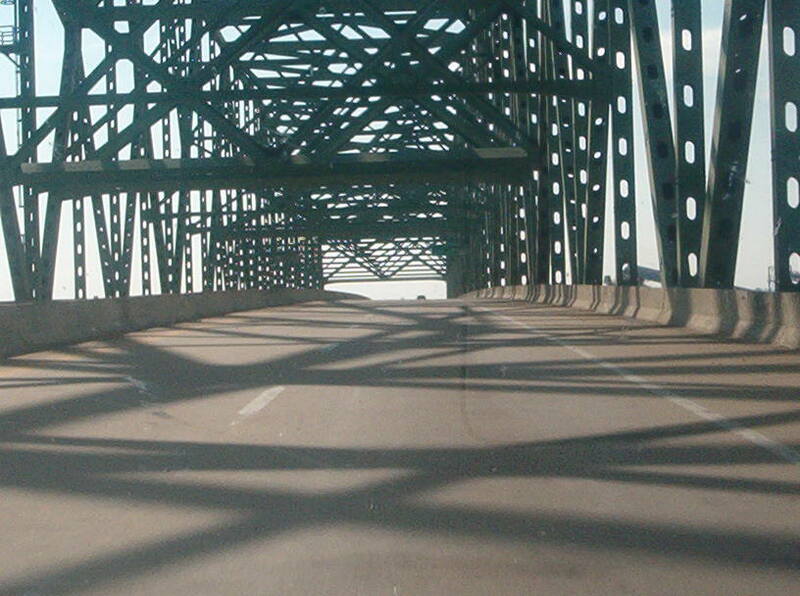 Going onto the I-24 bridge. Note the span's arched framework. 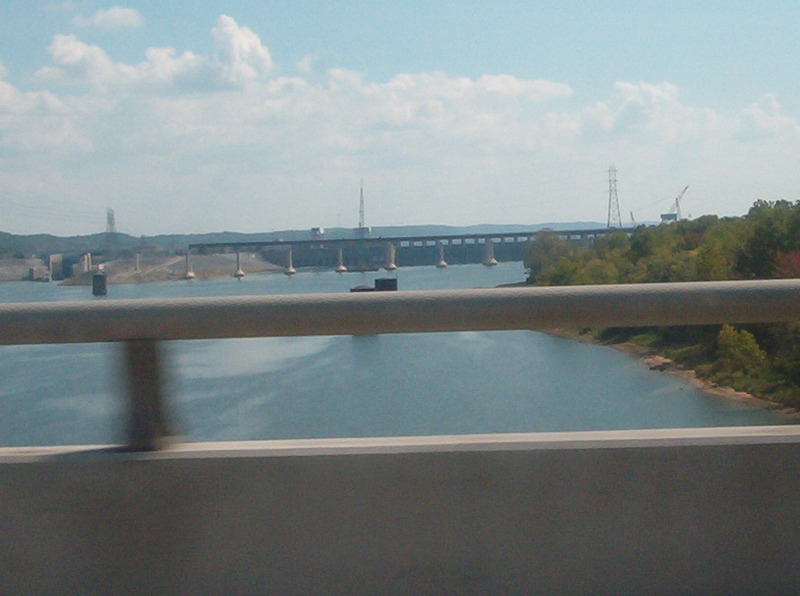 Looking south from the I-24 span towards Kentucky Dam, which carries US 62 across the river at the edge of Land Between the Lakes. Finally, I-24 crosses the Cumberland River just a few miles from where it crosses the Tennessee River. This is looking south from I-24 at the Cumberland River - as this exciting trip to the South Central U.S. and A. sputters to a close!